At the ITC, a global, virtual team of talented developers and engineers are working together to create a common open platform for CAD development. Our members make up dozens of companies creating hundreds of products for millions of users, leveling the playing field, increasing competition and lowering prices. We are proud of the engaging, collaborative culture our team has cultivated. We are looking for talented people to join the team who are as excited as we are to build the world’s best open CAD platform. The ITC is looking to add talented developers to its development team. If you're interested in doing work that matters as part of a talented team, please consider applying. Education in computer science or related fields. In-depth knowledge and experience of software development in C++, object-oriented programming, complex data structures and algorithms. Willingness and capability to quickly learn new technologies and processes. Ability to solve problems and provide creative solutions and suggestions. 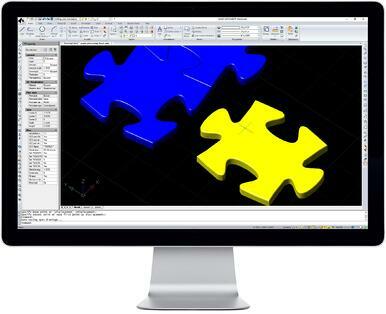 Experience developing and using CAD programs. Experience programming for Android , iOS. Experience analyzing and solving performance issues. Knowledge of multi-threaded application design and implementation. LISP, COM, .NET, OpenGL, BIM, MFC. Understanding of the application development lifecycle process, including requirement analysis, implementation, bug tracking, version control, etc. We are committed to making IntelliCAD a global brand by spearheading creative campaigns and developing a platform that enables our members to create solutions that delight their customers. The Marketing Intern will work directly with the ITC President to gain experience in lead generation, inbound and outbound sales and marketing processes, and the creation of marketing collateral materials. Applicants must possess the mindset of a self-starter that is willing to ask for and take strategic direction, execute those directions with excellence and proactively seek ways to add their own unique value to those strategies. Applicants must also understand their own ability to control the learning opportunities afforded to them by actively seeking opportunities to learn through this experience. This is a paid part-time position (20-30 hours weekly).